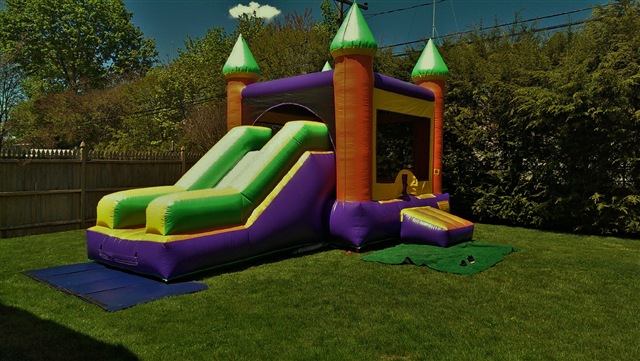 Bounce/Slide Combo - This bounce measures 13' x 22' x 15'. It is great for younger kids with a lot of energy! Kids can bounce around until they are tired and then finish off by exiting via a giant slide. Sure to liven up any kids party. 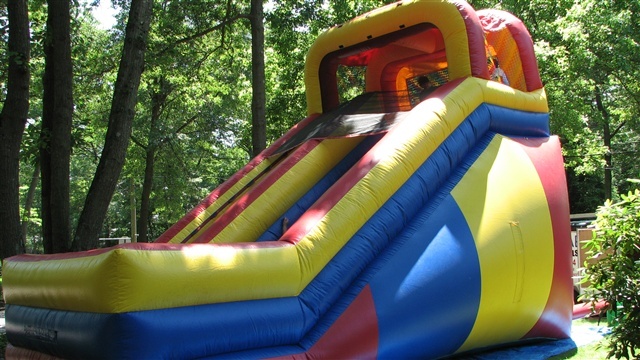 Giant Dry Slides - These are the perfect addition to any party that has high energy kids and will handle a big crowd. Climb up to the top of the 18 foot slide. Now you are looking into a 2 story window before you go speeding down the slide! If you want kids that are exhausted at the end of your party, then look no further! 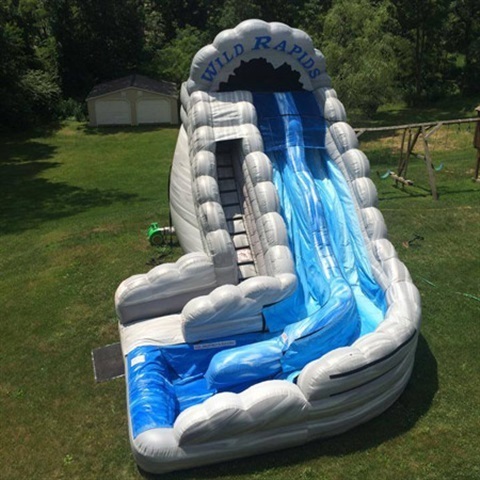 Wild Rapids - 2 Lane Water Slide - At 18 feet high, 25 feet long and 16 feet wide, this is a great way to cool off on those hot summer days! please call us today at (631) 889-3924.